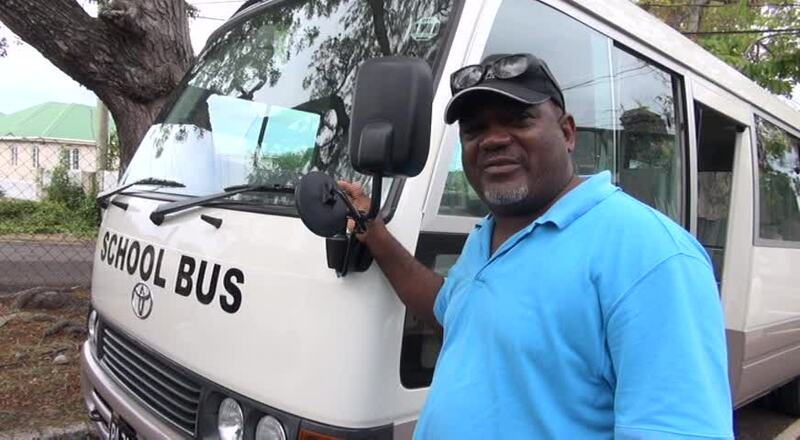 NIA CHARLESTOWN NEVIS (JUNE 05, 2015) — Permanent Secretary in the Premier’s Ministry who is also responsible for Education Wakely Daniel, appealed to students who use the Department of Education’s School Bus Programme to stop vandalising the vehicle. His appeal was also supported by the bus drivers. 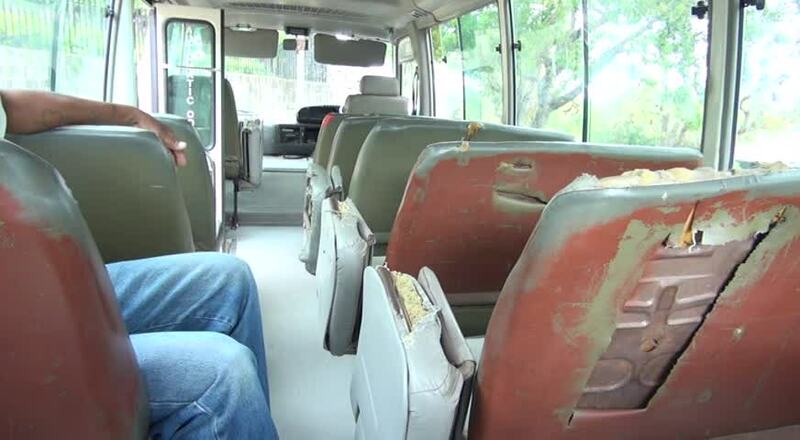 Mr. Daniel told the Department of Information on May 03, 2015, that the Ministry was disturbed by the acts of vandalism on the buses and the 30-seater $202,500 Toyota Coaster bus which was added to the programme in January has also been vandalised. 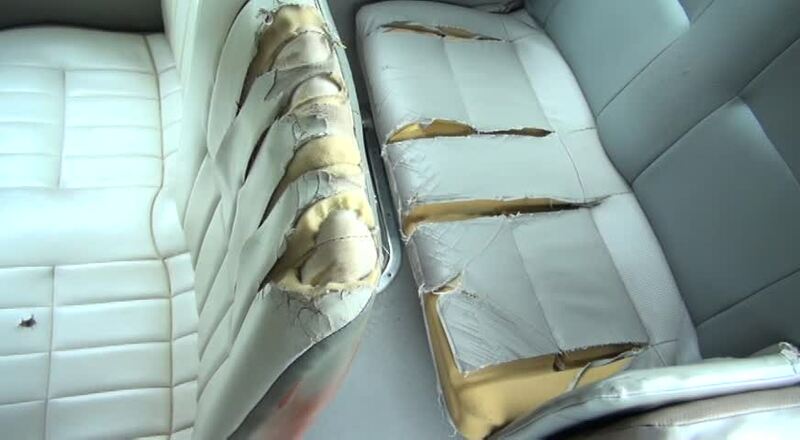 “The Ministry of Education is quite disturbed with the vandalising of the school bus by the school children. We provide a service for the school children which is free and we are asking them to please take care of the buses. “We are appealing to you the parents to speak to your children. Have them understand that it is a free service but they should protect the school bus; take care of the school bus because it takes them from home to school and back,” he said. Mr. Daniel reminded the students that in the absence of the School Bus Programme, the only alternative would be for them to use the regular public buses to and from school which would be of significant financial cost to their parents. 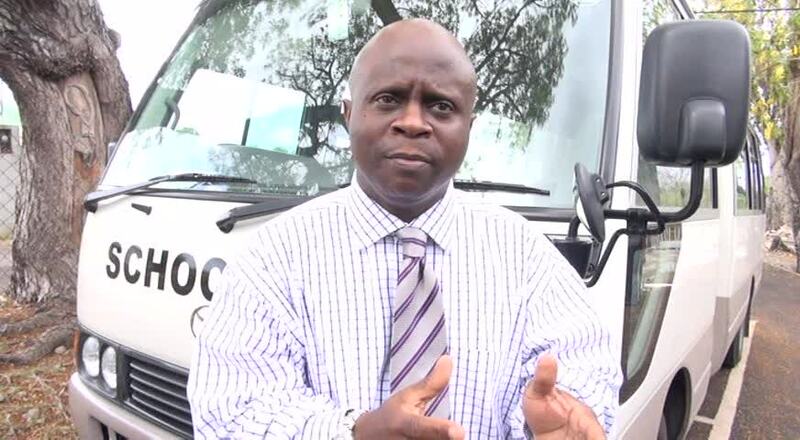 Meantime, driver of the new Toyota Coaster bus Franklyn Fyfield added his voice to the matter. He said parents should advice their children to cherish the free service provided for them. 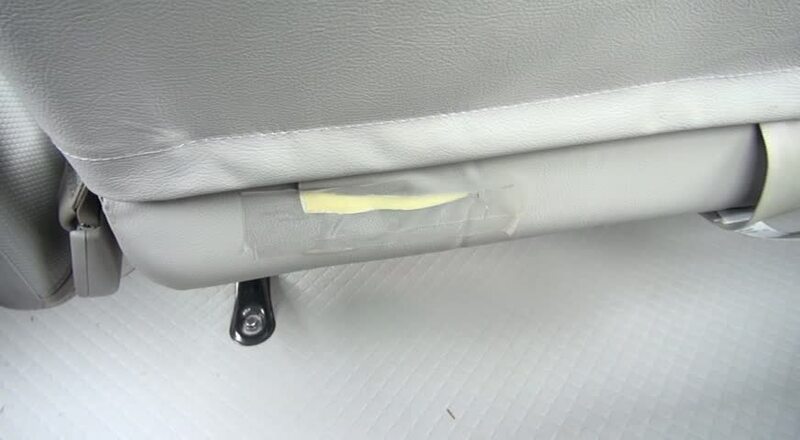 Fyfield noted that the students had removed all the ashtrays, clips holding handles at the back of the seats and had begun cutting to cut up the back seats. In his view, the alternative was to withdraw the bus programme for a month. He believes that type of action would impress on parents the gravity of the situation and would get them to speak to their children of the importance of the service to them. Fyfield stated that he was not the one hurting and his appeal to stop the vandalism, was to help prepare students for life after school. “They need to cherish the service that they have and take the best care of it and I am asking the kids, in particular, please, in the name of Jesus, you are not hurting me. At the end of the day you are hurting yourselves. All I am trying to do is to help prepare you for the world of work. “When you go out there in the world of work you have to comply with the laws and regulations that that are set. If by chance you have a vehicle, whatever amount it may cost, you would not like anybody to vandalise it like that. Please do not vandalise what is yours so to speak. I am making that appeal in general, not only for this bus but for all the other school buses,” he said. To date there are three buses in the School Bus Programme which transport students throughout the island to and from school and other school activities on a daily basis.